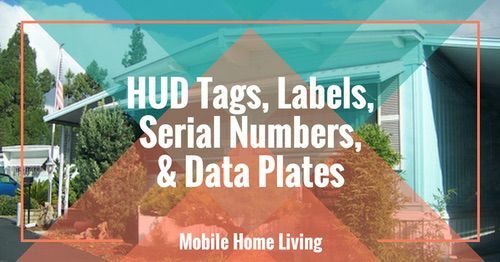 Our friend Steve Lancaster, who has contributed some great articles to our site recently, also has a very popular Facebook group named Manufactured Housing and Mobile Homes. Not only is it a great forum for mobile home fans, it is also where we found these online Craigslist mobile homes that we think are a great bargain. 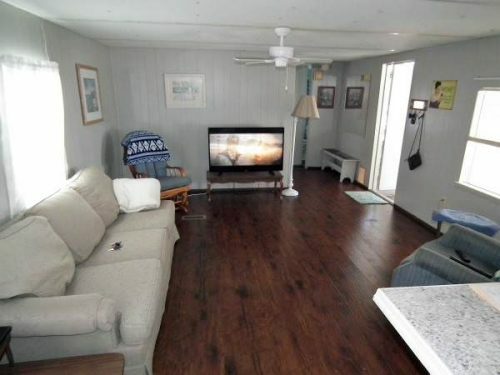 Our love for looking at online mobile homes dates back a long time, so if you haven’t seen one of our all-time favorite Craigslist finds be sure to check it out! Keep in mind, we are not affiliated with Craigslist or any of the sellers of these homes. We just love to look and talk about mobile homes. We always include the original listing and a couple of pictures of the home. However, remember that although the listings are active now, that can change at any time. Our first find is a 1972 Holly Park single wide located in Ohio. 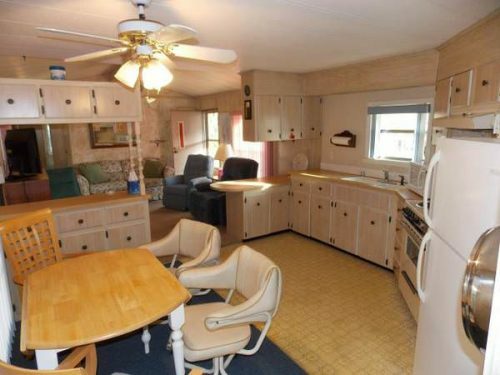 From the pictures of this home, it appears to have all the original cabinets, paneling, and built-ins. It also looks to be in very good condition for a home constructed in 1972! Although dated, it offers tons of storage in both the kitchen and the bedroom. Also, it would make a great project for someone who is looking for something small to update and make their own. Home has sold. The cabinets appear to be the original ones for this home. Awnings are very common on older mobile homes. This 1982 Single Wide found in Florida is awesome! It’s smaller than some single wides, at 834 feet, but it makes great use of its space with a nice open layout. Our favorite feature of this home? The kitchen, with its curved layout and plenty of both counter space and cabinets. This is another home that looks to be pretty much in its original condition. 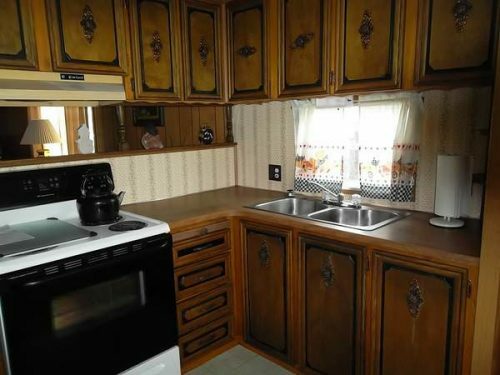 Light colored paneling throughout and a neutral palette of cabinets and bathroom fixtures make this a perfect example of a 1980’s model mobile home. Home has sold. Great use of space in this home. 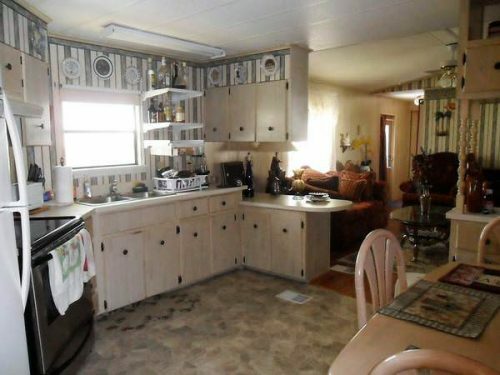 This mobile home looks to be very well maintained. Wow! 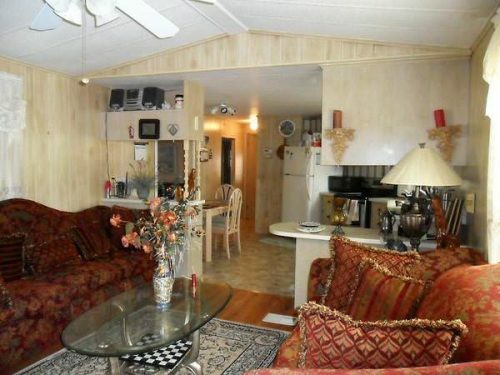 This 1987 Holiday Manor Mobile Home located in New York has been completely updated inside. Everything down to the electrical and plumbing has been overhauled. Like most single wides this home has an open floor plan and looks to have plenty of cabinets and storage space. 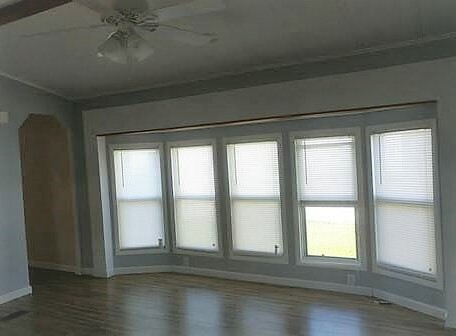 We didn’t see any pictures of the exterior on the listing, but there appear to be some nice big windows in both the living room and the bedroom. Natural light combined with the light colored paint of this home makes it appear to be much larger than it is. Home has sold. Look at all those windows. 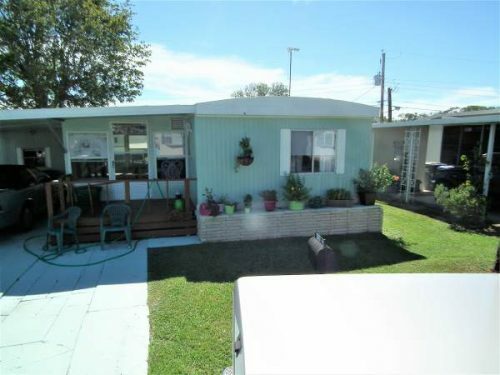 We found this 1983 Sout Mobile Home located in Florida that features one of our favorite floor plans, a split plan home with a bedroom on each end. 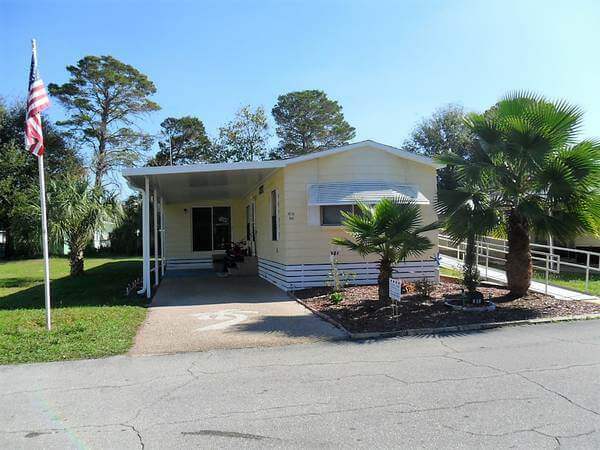 According to the listing, it also includes a nice sized glass enclosed “Florida room” which is a great addition to an already nice mobile home. Like most of the other listings we have shared today, this home seems to include most of the original cabinets and fixtures. However, the exterior does look like its been re-sided, probably when the addition was added to the home. This is another home that would be perfect for someone who is looking for a project, wouldn’t take much to update this home. Home has sold. Notice the built-ins separating the living room and kitchen. 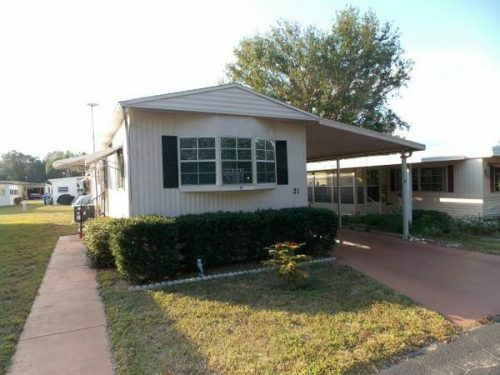 We really liked this 1981 Liberty Mobile Home located in Florida. It has been completed updated, all the way down to the subfloors. 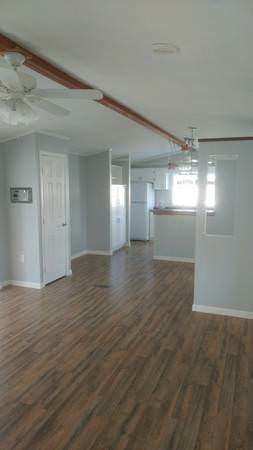 We especially love the laminate flooring, which gives the mobile home a wood floor look without the extra costs. The kitchen appears to have plenty of cabinets and it appears from one of the pictures that they have used a dresser to create an extra cabinet and countertop space between the living room and kitchen. It matches the rest of the kitchen very well. We are big fans of thinking outside the box like this owner did! Home has sold. We really like the ledge around the exterior for plants. 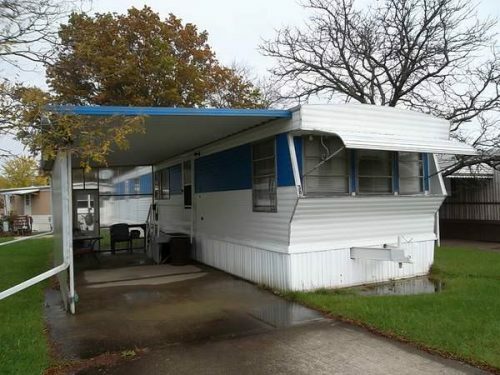 All of these mobile homes that we have shared today are online Craigslist mobile homes. This seems to be one of the more common ways that people are selling their homes. 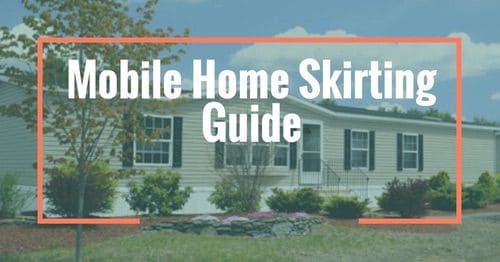 Of course, you can also find mobile homes for sale through typical realtor sites such as Realtor.com and Zillow. 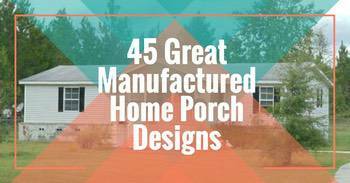 But we have found that older less expensive homes are usually found on sites like Craigslist. It’s always important to be diligent when thinking of making a purchase from an online seller. Never send money without seeing what you are buying. 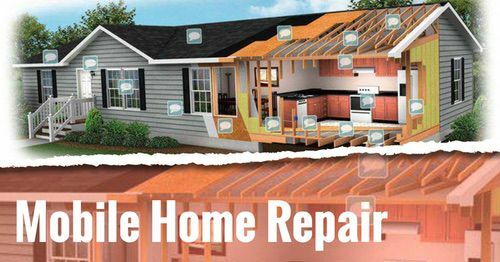 Also, make sure that you have the mobile home inspected for any unseen problems before purchasing. 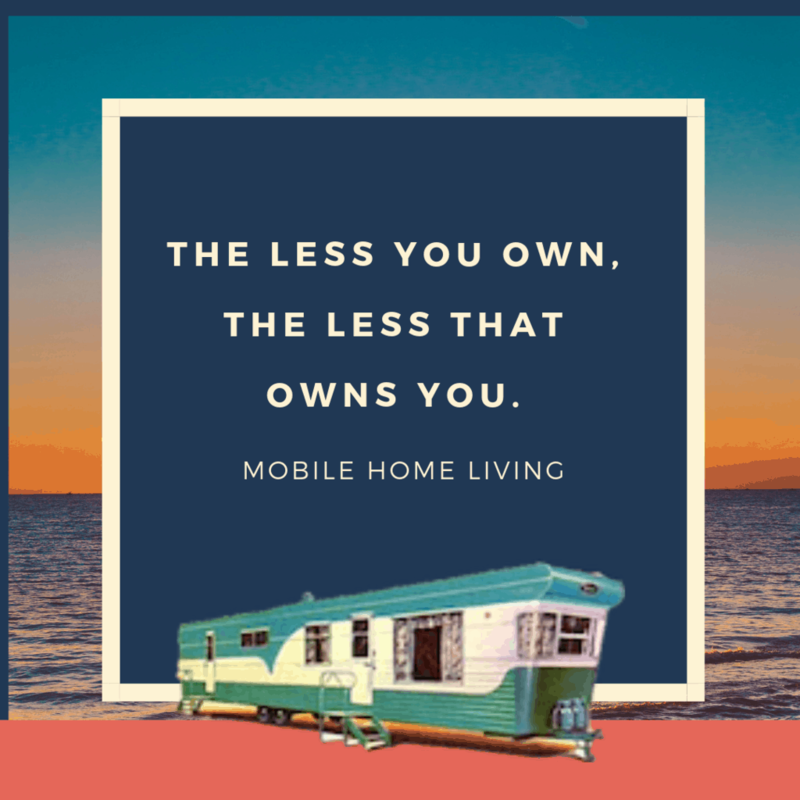 You want to make sure you are making a wise purchase when it comes to buying a used mobile home. 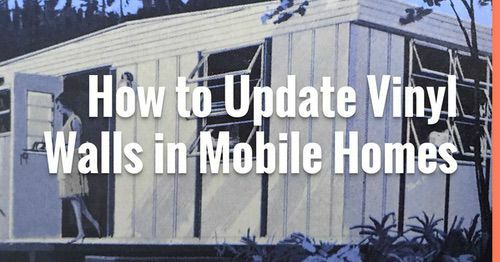 Be sure to take a look at our article Buying A Used Mobile Home that offers some great tips and resources. 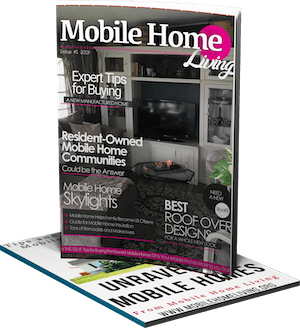 Thanks for reading Mobile Home Living. Hello, I am in Central Florida and am looking for an older used singlewide mobile home that can be moved to my property. We are looking for a 2/2. Can anyone help me with that? I just write about the homes, I don’t have any affiliation with builders or dealers. Sorry. You should be able to Google search for the dealers closest to you and visit them. Best of luck! I want to buy a good mobile home near Bandera Texas that I can move onto my site Must be in good livable condition. I wanted to let you know that Craigslist.com is absolutely the best place to find mobile homes for rent and sale. MHVillage.com is another great place though I think they are more for buying than renting. I’ve been seeing a lot of cool homes for rent on the Facebook marketplace (or maybe FB just knows I’m a bit mobile home mad and they show me all they have!) Best of luck!